Community Involvement | Metropolitan Mechanical Contractors, Inc.
At MMC, we take pride in the success of our community. Community Involvement is a long-standing corporate objective. For more than 25 years, our company and its coworkers have contributed millions of dollars and thousands of volunteer hours to improve the communities where we live and work. is a non-profit organization that is dedicated to fighting cystic fibrosis. This foundation supports the research and development of new treatments to combat the disease. MMC is a Presenting Sponsor for The Breath of Life Gala Benefiting the Cystic Fibrosis Foundation. collects new, unwrapped toys during October, November and December each year and distributes those toys as Christmas gifts to less fortunate children in the community. Every year, MMC employees donate toys to this cause. provides exterior home improvement assistance for senior and disabled homeowners so they may continue living independently. In September, MMC volunteers provide carpentry work, replace glass windows, clear shrubs, plant flowers, replace gutters, and paint homes of those in need. 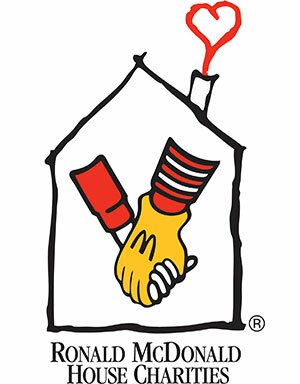 is a nonprofit housing organization. Habitat seeks to eliminate poverty housing and homelessness from the world and to make decent shelter a matter of conscience and action. MMC volunteers to help support this goal. When possible, MMC also donates some of their used vehicles to Habitat for Humanity. is a "home away from home" for families who must travel hundreds, sometimes thousands of miles to seek medical treatment for their children. This organization provides shelter and support to families facing difficult days and long nights. MMC participates in the Cooks for Kids program which serves the families at the Ronald McDonald House while their children are undergoing treatment for life threatening illnesses.